I really liked the defensive effort the team put forth in LA, but let's face it - that's not going to happen every week. Still, if we can keep things tight I like us to get something out of this one. I'll say a 1-1 draw. Agudelo gets one for us and Ching scores an unmarked header for Houston. Attendance will be minimal. I'm going to say that the patchwork defense holds up again, even if Rafa Marquez is in the lineup, and we get our third 1-0 victory in a row. Kenny F'ng Cooper with the lone tally. 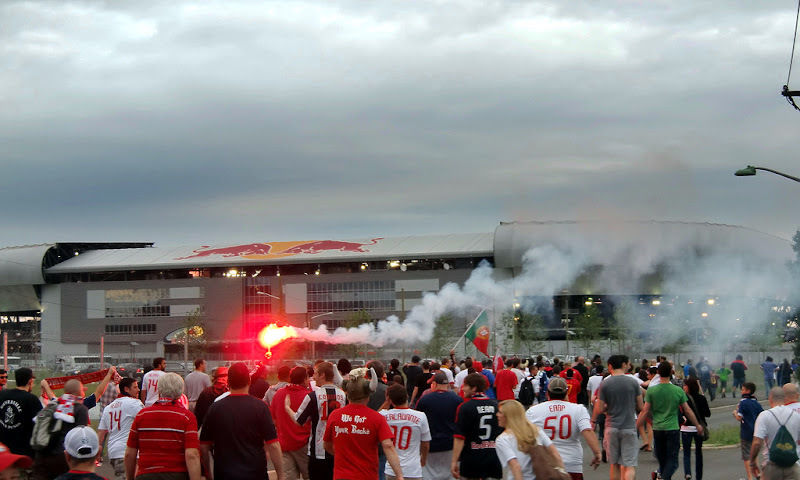 Logic has not been an ally with the Red Bulls as of late, so I'll go counterintuitive: RBNY gets a brace from Kenny Cooper, a Connor Lade header and a late PK slotted home by Jhonny Arteaga for a 4-0 win. The Houston fans tear down the BBVA Compass Stadium in rage and the Dynamo play out the rest of the season back at Robertson, followed by the whole organization moving to Winnipeg. Marquez will kiss the badge after scoring the winner! 2-0 good guys, with Meara asserting himself and directing whatever back four we piece together. I can always see us losing but I don't think that will be the case. With the same line up as the last two games I am calling for another "cynical" performance and another nail biting 1 goal win. And I am praying that Rafa exposes himself to the crowd or intentionally sets his luxury box on fire thereby earning a substantial additional ban. Let's face it no matter what team we put put out it is always way better without him. Alrighty then! I hope to see you all tonight @The Cathedral of Football, Red Bull Arena (built by Makita). Viper Out!